Part of the Christian Worldview Integration Series Whether setting about to love our neighbor, to settle a dispute, to share in the suffering of others or to speak up on behalf of the marginalized, we inevitably must engage in communication. And what could be more natural, more human, than communication? But we all learn quickly enough that good communication is not always natural. There is much to learn from Scripture and from the academic study of human communication. 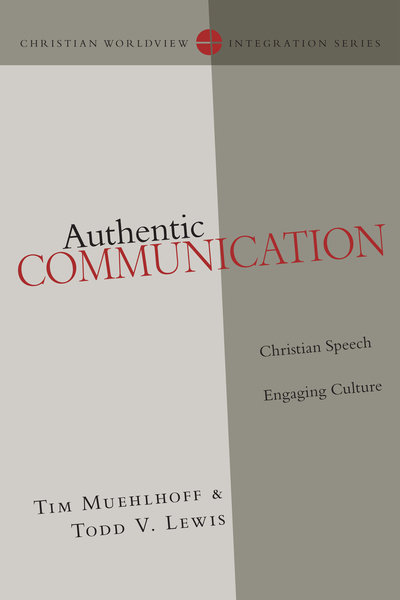 Tim Muehlhoff and Todd Lewis are able guides, aiding us in understanding the broad field of human communication in Christian perspective. Here they offer readers a vital assessment of the power of words, perspective-taking, persuasion and conflict management--all in an effort to improve our abilities to communicate forgiveness and shape the world we live in for the good. Special attention is focused on the place of Christians as counterpublics--those who offer alternative perspectives to the dominant voices in society.